The Mount Argentario is a promontory overlooking the Tuscan coast of the Maremma area, in the province of Grosseto. Facing the Orbetello lagoon on one side and two islands of the Tuscan Archipelago, Giglio and Giannutri on the other, the Mount Argentario actually offers interesting sea bottoms to discover to all professional and amateur divers, as well as hidden, mainly rocky and steep-sided inlets of rare beauty. The Cetacean Sanctuary, also known as Pelagos Sanctuary for Mediterranean Marine Mammals, is a marine protected area of international interest comprising the waters of Tuscany, Liguria and Sardinia (considering the Italian side), or more exactly the Ligurian basin of the Mediterranean Sea. As the name goes, this area is aimed to protect those species of cetaceans that have been regularly found there, like dolphins, whales, orcas and other minor cetacean species. To this end, many guided boat excursions are often arranged for observing those wonderful mammals and the sea bottoms, during which expert biologists usually give explanations on the topic with lots of details and information. Snorkeling and diving: what's better? 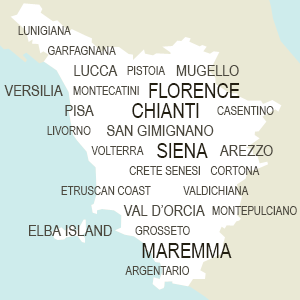 Thanks to the particular position, with the Orbetello lagoon (and the two tombolos Giannella and Feniglia connecting the Mount to the mainland) on one side and Giglio and Giannutri islands on the other, Argentario has always been a very popular tourist destination. Especially in Summer, the location usually crowd with people desiring to discover the wonderful rocky inlets and the clear waters of this slice of heaven, that have gained the prestigious Europena award Blue flag for the maintenance and conservation of the marine landscape. Divers will find plenty of interesting locations among the promontory, Giglio and Giannutri islands, with a varied flora and fauna and ancient wrecks to explore. Argentario has two main little towns situated on the opposite sides, Porto Ercole and Porto Santo Stefano, which are both worth a while for the interesting state and religious architecture still preserving some traces of the Spanish influence, as well as the natural backcountry, perfect for hiking or mountain biking. A fairy...or better, a cinema landscape! This is not a local or Tuscan saying, but actually the pure truth! The Mount Argentario is so rich in breathtaking and suggestive locations that many Italian and foreign movies have been set in there. That’s also why it has very soon become a popular tourist (and business!) destination for Vips.